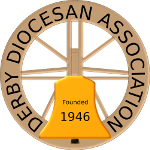 The DDA first entered the National Twelve-Bell Striking Contest for the Taylor Trophy in 1977 under the team name of Derby. Our best result from 3 finals was 4th place in 1979. The team continued to enter until 1986, when the rules were changed and we were not allowed to enter as we didn’t have a 12 bell tower. With the augmentation of Melbourne in 1996, the DDA could once again enter the competion the following year, under the leadership of Tim Peverett. At the time of writing, the team has rung in 10 finals: 2003 (6th), 2004 (8th), 2005 (6th), 2009 (4th), 2010 (6th), 2011 (5th), 2012 (2nd), 2013 (7th), 2014 (6th) 2015 (4th). The only other teams that have rung in consecutive finals from 2009 – 2015 are Birmingham and York.